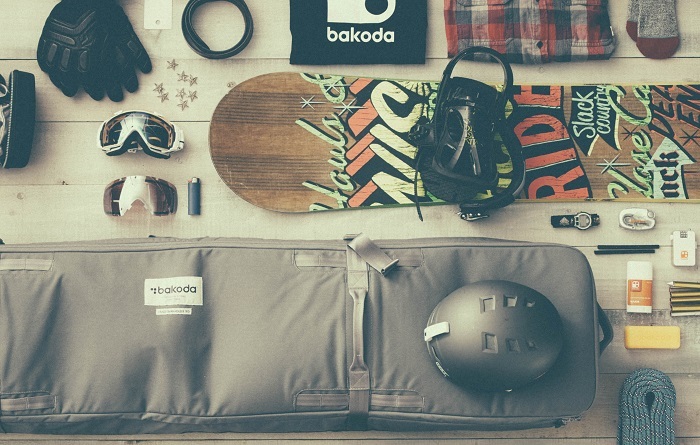 Bakoda, launched in the 1980's, was responsible for some of the first snowboard accessories ever. By the late 1990’s, the company was leading the charge for snowboard accessories after launching the revolutionary McIver Driver - the first snowboard specific multi-tool. By the late 2000's however, Bakoda moved operations out of North America and was being managed out of Italy. As a result, the company "waivered on its founding values of design innovation and commitment to the snowboard community." Wanting to return Bakoda back to its former state of glory, the company was recently relaunched and as product is starting to hit stores, it's evident that the company has truly evolved. 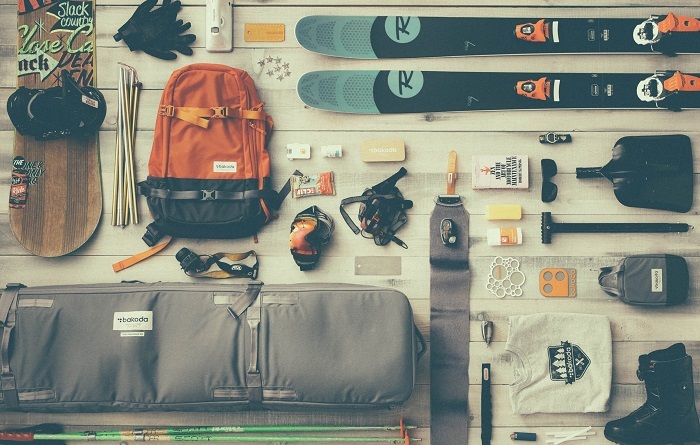 Now based in Vancouver, Bakoda offers a core product line that includes tools, tuning equipment, wax, ski straps and more for snowboarders and skiers alike - and yes, the McIver Driver is back! Additionally, the company seeks brand ambassadors and has turned to the general public in an attempt to pull some interesting people out of the woodwork. We interviewed David Westwood, Product Development Manager for Bakoda, to get the scoop on the brand's return of operations to North America, to find out about the open call ambassador program the company recently launched, and we asked him what a successful relaunch of the brand will look like. What does the move for Bakoda back to North America mean for the brand? Bakoda is gonna rule the accessory world! For serious though, Bakoda became a great brand by developing unique and innovative product during the explosion of snowboarding. It stayed strong into the early 2000’s when it was run out of Seattle by Northwave-Drake, but when operations were moved to Italy there wasn’t any investment in new product and it was disappearing off the map. The opportunity to bring Bakoda back to its roots in the Pacific Northwest presented itself and we jumped on it. Times have changed since Bakoda was leading the charge in the 90’s however, and while its roots are undoubtedly in snowboarding, the attitude and values are shared amongst both snowboarders and skiers these days. Quality and timeless design are what matter, and moving forward Bakoda will be rooted in values of simplicity, quality, and user-centered design. We have rebuilt the brand and products from the ground up, working of off Bakoda’s strong heritage but doing so in the lens of modern snowboarding and skiing. We’ve worked hard to recreate the brand with a modern yet authentic Bakoda look and feel, and we’re feeling good about how it’s working. It looks great and feedback from our customers has been overwhelmingly positive. Was there something to be learned with the company's migration to Europe? Not much changed with regards to the Bakoda brand or product while being managed out of Italy. The lesson? A brand and product that doesn’t continue to evolve and innovate will eventually die. Does the company still maintain a base or connection to Italy? There is no affiliation to the previous owners of the brand in Italy. Bakoda will return to Europe once the brand and business has been re-established in North America. What's exciting with the upcoming Winter 2014-15 product line? For 2013-14, we launched a core product offering that includes tools, tuning equipment, wax, ski straps and a brand new steel framed lock. In addition to new designs, some old favorites are back, including the award winning Zackly Driver and infamous McIver Driver with its secret pipe! 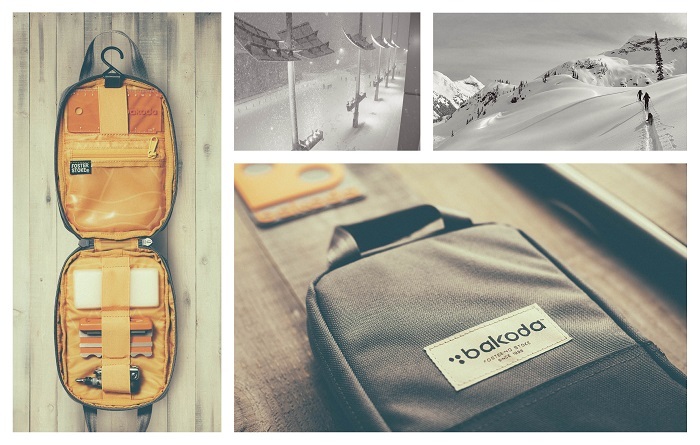 Looking to 2014-15 the big news is the launch of a complete line of Bakoda bags and packs. The final samples have just arrived and look amazing. We’re also building the accessories line up with the addition of new tuning items including a Tuning Kit, a Digital Iron and some base repair items. Bakoda is currently seeking ambassadors; can you describe the ideal candidate for the team? 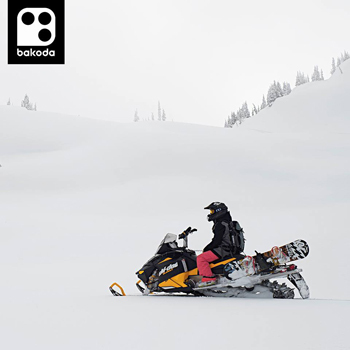 Bakoda is a boutique brand and we don’t walk around with the same big stick as the large snowsport brands. We’re looking for individuals that are up and comers, super stoked on powder, are active within their mountain community and want to explore both their own backyard and plan on travelling to other snow locations. Have you had any good candidates thus far? We have been contacted by some awesome skiers and snowboarders, and continue to receive requests. We are still open to hearing from more skiers and snowboarders. If there’s anyone else out there that’s interested please get in touch with me at david[at]bakoda.com. How many ambassadors will you be looking to add? We are going to work with a small number of athletes so that both our Ambassadors and Bakoda are getting the most out of the partnership. A number? More than one and less than ten. What duties should interested ambassadors be expected to perform if invited to join the team? Gear testing and engaging in co-design with our product designer is their first job. Insight and refinement can only come from time spent in the field. The “ambassador” part of the description is about Bakoda promoting the athletes and in turn the athlete promoting Bakoda in their community. It’s always best to hear about something new from a friend, so instead of discovering Bakoda in an ad we prefer to be referred by people within the ski and snowboard community. Why did you decide to reach out to the general public for team ambassadors? After sitting on enough chairlifts you meet some really committed skiers and snowboarders that are super stoked to be on the hill. They are entrenched in their local scene, so have the double bonus of being connected to their community as well as containing an immense amount of experience and insight into the gear they use pretty much daily. What challenges do you foresee as you assemble this new team of ambassadors for Bakoda? In exchange for our Ambassadors time and insights we promote the athletes. Once some light is shed on them you stand the risk of losing your best players to the “bigs”. What will a successful relaunch for Bakoda look like? A boutique accessory brand that is international in scope and local in support. At Bakoda we understand that we need to support snowsports one town at time all across North America and the world. Care to add any last words? “Stoke is where you make it.” That was written on our Twitter feed the other day. No matter if you’re in Whistler Backcountry or a ravine in North Dakota in the dead of winter, stay stoked and keep riding. At Bakoda our number one mission is to Foster Stoke. Want to put your name in the mix? Visit www.bakoda.com for more details or send an email to ambassadors[at]bakoda.com. And be sure to check them out on Facebook, Twitter and Instagram!